As shown here, I am usually prepared for cold weather. Not Today. Today I loved running. And then I hated it. And then I loved it again. And then I hated it. Fortunately, we managed to end on a good note (only because it was the end and that meant coffee). I woke up early. As usual. On a Saturday. You know, when the rest of the normal world is still asleep. Good thing my running group doesn’t consist of normal people. I didn’t wake up as early as I had planned. Yes, it appears that I actually slacked a bit today. I was planning to run 2 miles before meeting up with the group so I could make sure that my total mileage added up to 10. Anyway, I did get up in time to meet the group. Because when I say I am going to be somewhere, then I am there (even if I don’t want to be). I rolled out of bed and put on my running clothes. I knew without a doubt that I would need the below 40 degree pants (I’m starting to think that I should invest in a pair of below freezing pants) and my fleece lined long-sleeve shirt. I thought that maybe I might need an extra fleece so I grabbed one just in case. Yeah, that was definitely a good idea. As soon as I stepped out of the car I wished I was back home in bed. As soon as I started running I hated running. The wind chill must have been below single digits (try putting a negative sign in front of a single digit). My face became so numb that I had trouble speaking (and of course I didn’t think I would need a face mask). Then there was the matter of my fingers. Where were they? How come I couldn’t feel them? Oh, wait a second, I am feeling some pain now. Then we turned around. Did I mention that I love running? I was chatting with my running group and picking up the pace. It was a great time. Then the group was finished and I had to do my extra 2 miles. The wind was still at my back, but my stomach was somewhere else. It was in a world of hurt. I had to stop. Then I knew I had to find a bathroom. FAST. Yet, I couldn’t go fast. I couldn’t even run. I hated running anyway so what did it matter? I managed to get to the bathroom, but my stomach never really recovered for the last mile. It was a painful last mile. It was NOT FUN. Then it was over. My stomach could relax and I could fill it with some nice hot coffee. As soon as I sat down in the coffee shop with my running group I was one happy runner. I had finished my 10 miles as planned. 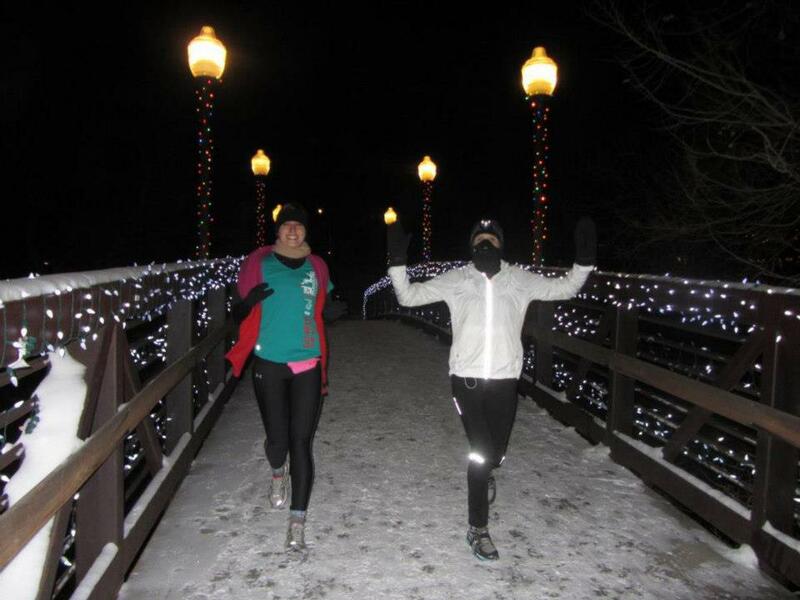 This entry was posted in Running Experiences and tagged cold weather running gear, running groups, running in cold weather. You and I would have been a pair today. I so did not want to run but I did. Got to spend the rest of the day guilt free.